Summer Rafting on Pennsylvania’s Lehigh River! Our Summer Rafting trip is available most days April thru October. 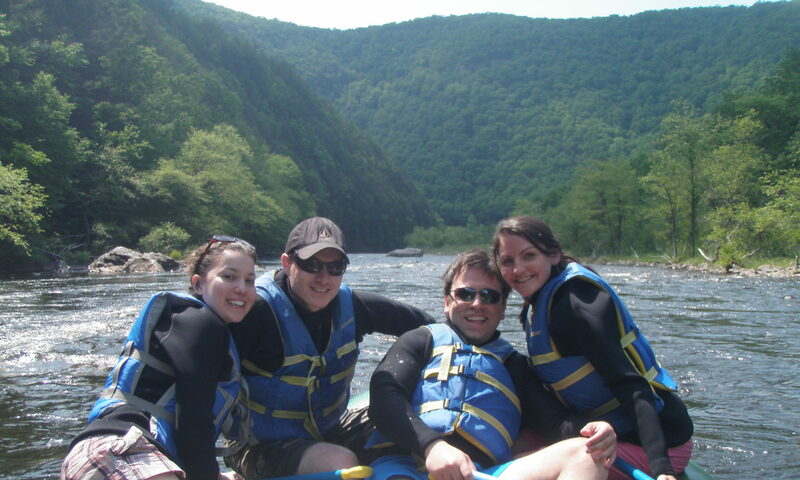 Start rafting in Jim Thorpe, Pa by the historical train station and take out in Bowmanstown. It is 8 miles long with about a half dozen small rapids including Bear Trap and Great Gorge. Our Summer Rafting trip is always a perfect way for families and friends who want to enjoy a day on the water. Have fun in the sun as you swim and splash your way down the warm waters of the Lehigh River. This trip is terrific for children as young as 4 years old. Make your reservation today!